Book Direct for our most exclusive offers! Music is food for the soul. 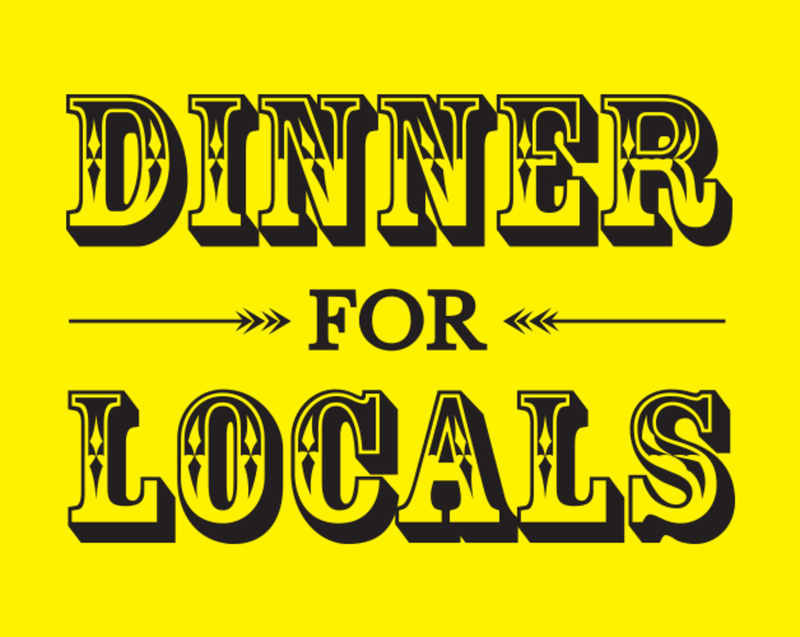 Dinner For Locals is a gathering of like-minded individuals seeking out a very specific language and passion spoken through perfectly curated sets of deep house. Join us this bonus Friday for a beautifully crafted sonic journey. General RSVP is not required but does get you on our A-List mailer for the latest in bookings and event info. Be a part of a "SKETCHY" drawing party overlooking St. Louis in the Angad Rainbow Terrace. Every other Wednesday, starting Wednesday, April 3rd, join artist Terry Hinkle in the Angad Rainbow Terrace to DRAW & DRINK with a fun and creative crowd of artists and friends. Grand Tavern introduces a “ Blues + Brews ” themed brunch Sundays which will feature a lineup of live musicians and spotlight local craft breweries. Guests can enjoy select "bottomless" beverages including Mimosas, Bloody Mary’s, House Cocktails, House Wine and Beer for two hours during Sunday brunch service from 11:00 a.m. to 3:00 p.m. for $15. Grand Tavern introduces a “Brews + Blues” themed brunch Sundays which will feature a lineup of live musicians and spotlight local craft breweries. Guests can enjoy select "bottomless" beverages including Mimosas, Bloody Mary’s, House Cocktails, House Wine and Beer for two hours during Sunday brunch service from 11:00 a.m. to 3:00 p.m. for $15. Grand Tavern introduces a “Blues + Brews” themed brunch Sundays which will feature a lineup of live musicians and spotlight local craft breweries. Guests can enjoy select "bottomless" beverages including Mimosas, Bloody Mary’s, House Cocktails, House Wine and Beer for two hours during Sunday brunch service from 11:00 a.m. to 3:00 p.m. for $15. Alexis Tucci will keep your body moving and your soul smiling as you take in sweeping views of the downtown skyline and the Arch in our Angad Rainbow Terrace or sit down to sip cocktails in the Chameleon lounge. Join us as we welcome Vinny Troia to his new home the last Saturday of every month, we are sure he will keep your body moving and your soul smiling as you take in the sweeping views of the downtown St. Louis skyline and the Arch in the Angad Rainbow Terrace. Art Saint Louis and Angad Arts Hotel present our Spring Exhibition (May 3-July 27, 2019) featuring StL area artists Nick Schleicher, Brandon De Sha, Briana Kagy, and Zack Smithey. This special exhibit is curated for Angad Arts Hotel by Art Saint Louis and is free & open to the public 365/24/7. "Live in the Sky” is a ten-date rooftop concert series atop Angad Arts Hotel. The series will feature intimate performances by some of the most popular up-and-coming artists of today. Our rooftop is 13 stories above the city with sweeping views of the St. Louis skyline. Performers will be positioned right in front of our views creating a breathtaking backdrop like no concert has ever had before. Thursdays are all about the vibe and Mark Lewis is just the man to take you and your friends on that musical journey. You will find yourself singing along to songs that made you smile and heading over to the booth to ask, “What song is this?”.